I always take it for granted – water. I open my faucet and there it is. However, my whole perspective on water changed when on February 2010 I visited the water well project that the Rotary Club of Iligan South put together in partnership with the Rotary Club of Chicago Far North. The site of the water well was perfect. It’s located in front of a school where the parents could drop off their children and then they could get some fresh water on their way home. 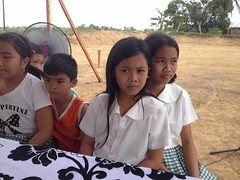 A series of newly constructed housing from the nonprofit, Gawad Kalinga was nearby and the new families that recently moved to the new housing could also access the well. I saw the Rotary plaque located right behind the well acknowledging the great contributions of people that made this possible including Rotary Club of Iligan South President Juel Songkit, my uncle Rotarian Dr. Vicente Saavedra and many others that belong to the club. They worked in partnership with my Rotary club, The Rotary Club of Chicago Far North. This well would not have happened without the incredible partnership on both sides. 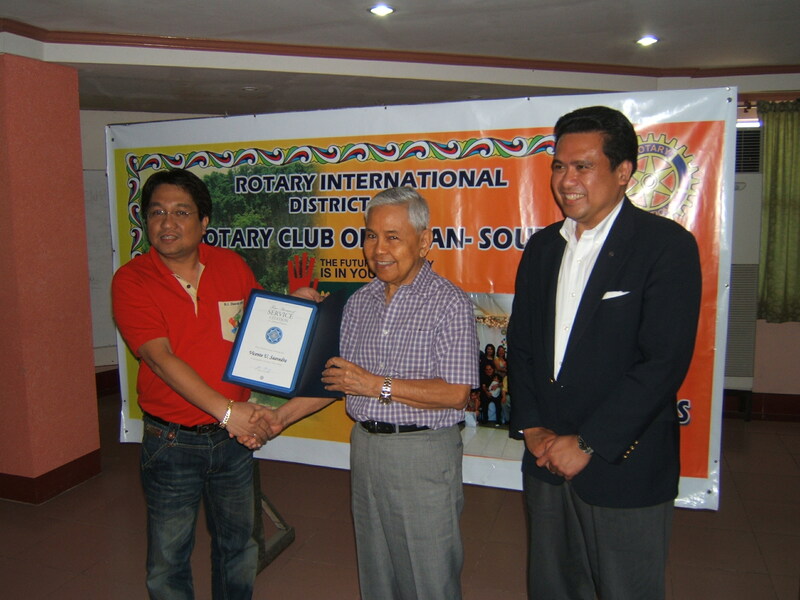 (from left) Rotary Club of Iligan South President Juel Songkit Honoring Fellow Rotarian Dr. Vicente Saavedra for his assistance in the water well and other projects. Dale Asis standing on the right. So I pumped the well and took a sip of clean water – aahh! Refreshing! I will never take clean water for granted anymore. 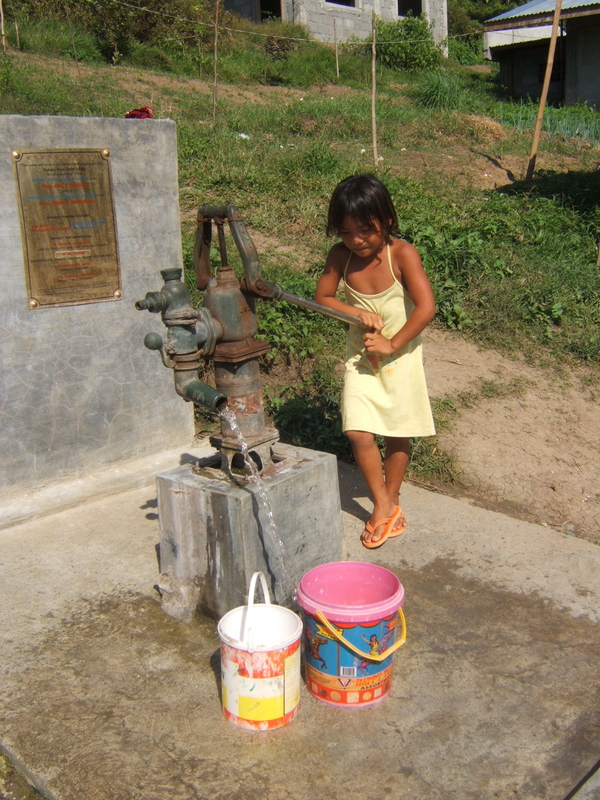 As I was leaving, a young girl approached the well with her empty bucket and she started pumping the well. I was delighted that it was being used by everyone in the village. I slowly approached her and asked for her name. “Six years old po,” she said timidly. I watched her fill her bucket with clean water. My heart was gushing with pride that I provided her access to clean drinking and many other young children like her in the village. So the next time you take a swig of clean water, think of Shirley and many children like her. We owe it to her – the gift of clean water. This entry was posted in Diaspora Donors, philanthropy, Philippines. Bookmark the permalink. Wow! You are doing great work. Thanks for the narrative and the photos. I hope you are able to continue and expand in the coming years! Thank you for the positive comments and for always reading my blog entries! Thank you for your interest in these projects. You can also think of contributing to your own project! Hi DALE! This is it! do you have more pictures? You can use these pictures to showcase your work in the Philippines. How are you? I have more pics to share. Thank you for always being supportive.